We aim to provide an easy one-stop service. 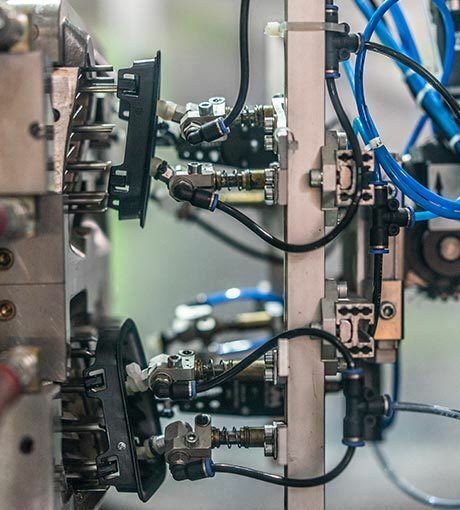 We work closely with our customers right from the development phase to ensure we have embarked on the right course to guarantee commercial success, functional integrity and production quality. The customer fully understands the required product features and OMEGA TECHNOLOGY PLASTIC fully understands how the component should be designed to suit the requirements of the plastic materials. We build on this knowledge so we can support our customers when designing complex parts and sub-assemblies during the development phase. Our expertise in plastic technology means we are able to work in close partnership with our customers to produce extremely well designed plastic components. We have a dedicated team of specialists on hand who can handle even the most challenging tasks. We use state-of-the-art production machinery to guarantee continuous product quality. Our range of services includes individual consulting services, CAS product simulations, CAD product development rapid prototyping, production of prototypes and pilot series, engineering, tool manufacture, automation technology, injection moulding of complex components and sub-assemblies, assembly, packaging and logistics.